If you have any questions or want to enquire about dates, use our form to contact Angelica Grizi or see their website for more information. Delicate, ethereal Noto is one of Sicily’s baroque gems; it may be smaller than Ragusa but it still attracts a crowd. Above the more touristy centre, flanked by discreet offices and atmospheric shops, is a traditional house beautifully renovated by Angelica. 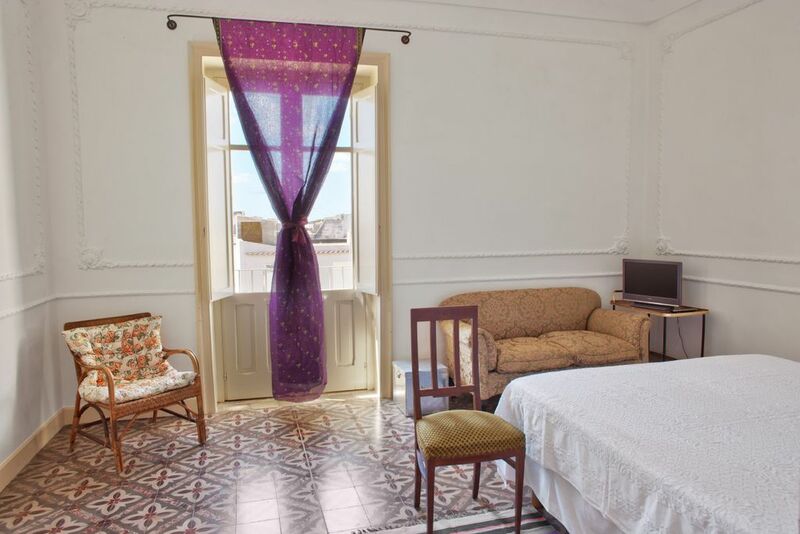 A modest front opens to a charming maze of light airy rooms on varying levels, with tall 1900s windows and decorative floor tiles delightfully intact. You can rent the ground floor apartment (with garden) or the floor above (with balcony and terrace) – each has an entrance off the street – or you can take them together: they interconnect. The décor throughout is creative and stylish, an imaginative mix of muted 1930s pieces and bright patterned modern: an old-fashioned cast-iron radiator, a contemporary basin, a chair upholstered back to life. Jasmine and roses ramble in the garden at the most peaceful back; peaches and pomegranates, lemons and figs flourish. Stock up at the Monday market, pick a café for a creamy cassata or an iced coffee with whipped cream, cool off on the beautiful beaches and crystal-clear coves of Vendicari. Special rates available for small groups. Angelica’s apartment in Piano Alto is a wonderful haven within easy reach (on foot, so we didn’t have to drive everywhere) of everything Noto has to offer. It’s tranquil and spacious, welcoming and warm and Angelica has thought of all the details - a really effective shower and comfortable double bed, and central heating for cool winter evenings. There were even oranges and lemons on the trees in the garden! We’d recommend this unhesitatingly for any time of year and can’t wait to go again. Piano Alto is a very special place and its situation high above the traffic of the town makes for an unusually tranquil atmosphere. Everything about the apartment is charming and interesting and the central heating makes it cosy for a winter stay. Angelica has thought of everything, especially basics like a very comfortable double bed, a really powerful shower and a very welcome pack of fresh provisions. An absolutely unforgettable gem! Nous avons énormément apprécié notre séjour dans la maison d'Angelica. Nous logions au rez-de-chaussée et avons pu profiter du superbe jardin (et de ses délicieuses nèfles !). Angelica nous a accueillis avec un panier de légumes frais. La maison, atypique, a beaucoup de charme et est très bien placée. Nous recommandons vivement cette belle adresse ! Lovely spacious apartment with good sized sunny balcony that easily seated six of us for meals. Angelica is very welcoming and very quick to provide anything required. A thoroughly enjoyable stay. Angelica's airy and spacious Piano Alto is delightful, as is Noto. The Noto area is famous for its almonds which you will find in different local dishes. Dip a brioche in your almond granita for an authentic Sicilian breakfast. For the ultimate in sweets, try the renowned Caffè Sicilia on the main Corso. Enjoy the beaches of Vendicari's Natural Reserve all year around and explore the wetlands if you want to immerse yourself in nature. You may even spot a flock of flamingos. 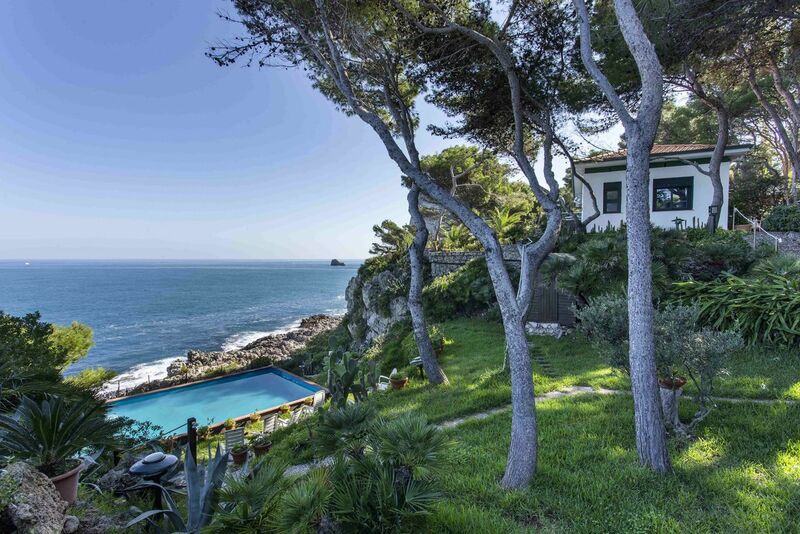 Stop at the Villa Romana del Tellaro on your way to the beach. The remains of this ancient Roman villa won’t take much of your time (only four rooms survive) but the mosaics are definitely worth it. Trek up and down the Hyblean Mountains heading for Pantalica or Cavagrande del Cassibile with their hidden lakes at the bottom. Get to know San Corrado, Noto’s adored patron saint. Start with a visit to San Corrado Fuori Le Mura, a small baroque church built over the cave where the hermit lived in the 1300s. Don’t miss the fascinating museum upstairs with gifts donated by devotees.